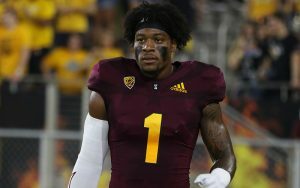 TEMPE – After a standout three-year career at Arizona State, junior wide receiver N’Keal Harry announced Monday he will forgo his senior season and enter the 2019 NFL Draft. 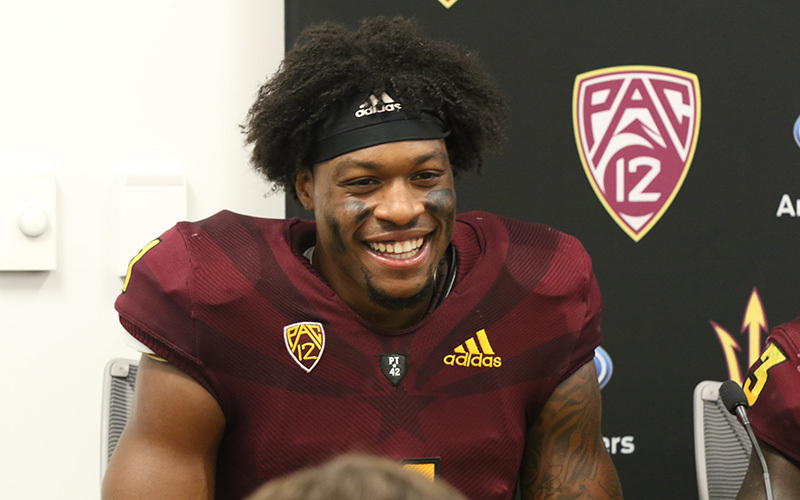 With a 7-5 record, the Sun Devils have qualified for a postseason bowl game, and the former Chandler High standout did not rule out playing in it. Bowl selections will be announced Sunday, and ASU coach Herm Edwards said Harry will practice. Harry was 4 when he left the Caribbean island of Saint Vincent for Arizona with his grandmother, Felna, who was there for Monday’s announcement at Sun Devil Stadium. Harry began his high school career at Marcos de Niza High in Tempe before transferring to Chandler, which won a football state championship in 2014. He was one of the most highly touted recruits in the nation and rated as the top recruit in Arizona by multiple scouting publications. With Oregon and Texas A&M among his suitors, Harry chose to stay home, in part, to remain close to his grandmother. 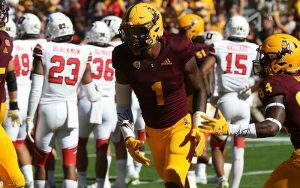 ASU quarterback Manny Wilkins, who also attended Monday’s news conference, connected with Harry countless times during the past three seasons on the field, but above all else, he thanked Harry for his friendship off the field. “You’ll go down as a legend here,” he said. The final image of Harry walking off the field at Arizona Stadium, after the Sun Devils had just completed a 19-point comeback against the Arizona Wildcats, will be etched in the minds of ASU fans for years to come. That day, Harry said, is when he decided he would leave ASU. The questions now include what round will Harry be selected – and by which team? Edwards, a former NFL head coach who has been in draft war rooms before, said Harry checks a number of boxes NFL talent scouts will want. First, teams often look at the skill set and size of a wide receiver. Standing at 6-4, 213, Harry is a prototype NFL wide receiver. Harry said the NFL was always a dream for him, not for the money but for the love of the game. He now has an opportunity to advance to the next level and continue that dream, while making money.